Travelers looking for the best deals on Waikiki beachfront lodging can now book one of six different room types – including two priced at under $100 per night – at The Maile Sky Court Hotel from Aqua Resorts through ReserveHawaii.com. Each room is priced at the Guaranteed Lowest Rate online, offering visitors to Hawaii an exciting way to save on lodging in Waikiki. The Maile Sky Court is the latest hotel to be offered at ReserveHawaii.com, a one-stop vacation booking site that allows travelers to book lodging, activities, and attractions at special discount prices. The Maile Sky Court Hotel is located on beautiful Waikiki Beach in Honolulu. Travelers staying at The Maile Sky Court Hotel will enjoy upgraded amenities, a superb location and exceptional customer service at budget-conscious rates. Six room types are available at ReserveHawaii.com, including options featuring ocean views. ReserveDirect has been operating ReserveHawaii.com since May 2010 and works directly with popular Hawaii attractions on all of the islands, including the Big Island, Kauai, Maui and Oahu. 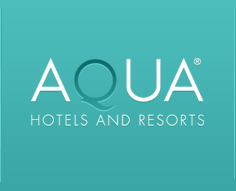 This new partnership with the Maile Sky Court Hotel from Hawaiian-based Aqua Hotels & Resorts allows ReserveDirect to offer money-saving Maile Sky Court Hotel packages as well as the option to purchase stand alone hotel reservations. As an official lodging provider for Maile Sky Court Hotel, ReserveHawaii.com can offer the guaranteed lowest rate on this popular lodging option. ReserveDirect has provided similar solutions for lodging associations and destination marketing organizations in markets like Branson, Missouri; Pigeon Forge and Gatlinburg, Tennessee; Orlando, Florida; Williamsburg, Virginia; Myrtle Beach, South Carolina; and the Hawaiian Islands.